Here is a cautionary tale for you and its a completely true story. We had a lovely horse come to us last autumn with a diagonal lameness - right front, left hind. She had been in shoes most of her life and had been working well in them up till that point. She improved very quickly and was back in work within a few weeks and hunted regularly through the second half of last season, thriving on her work. So far, so good. In the summer she left us and went to a new home. Its often tricky when horses leave here in the summer because owners often under-estimate the impact that grass can have on hooves. In the winter that doesn't matter so much because grass sugars are generally lower (frosty grass is the exception) so horses cope better - plus of course many horses are out less in the winter anyway. Come the spring, lots of grass, extended periods of turnout and suddenly a previously competent horse can go footy - and it can happen in a matter of hours. If nothing else has changed and your horse has been fine over winter its pretty clear what the cause is but if you move a horse to a different yard, or bring a horse home from somewhere like here, in May or June and he comes in footy after a night of turnout it can be hard to believe that the grass is the problem. So it was with this horse. While she was on a properly balanced diet and turned out on low sugar grass (overnight in spring and summer) she was fantastically competent on all terrain but within 36 hours of moving to her new home she became footy on stones, as can happen all too easily. Unfortunately the "good" diet she was being fed in the new home just wasn't good enough. It was low in key minerals, including copper and zinc, both of which directly affect hoof health and the sugar levels were higher. Although she was kept off grass during the day in summer, which undoubtedly helped, once it got to autumn (and "wet weather") they started to turn her out during the day and stable her at night despite a tremendous flush of grass. This led to a lameness double-whammy, with high sugar grass increasing her footiness and long periods of inactivity making her stiff. The really sad thing is that all these issues could have been resolved very easily by tweaking her diet and management and then her feet would have been 100% healthy in a very short time. 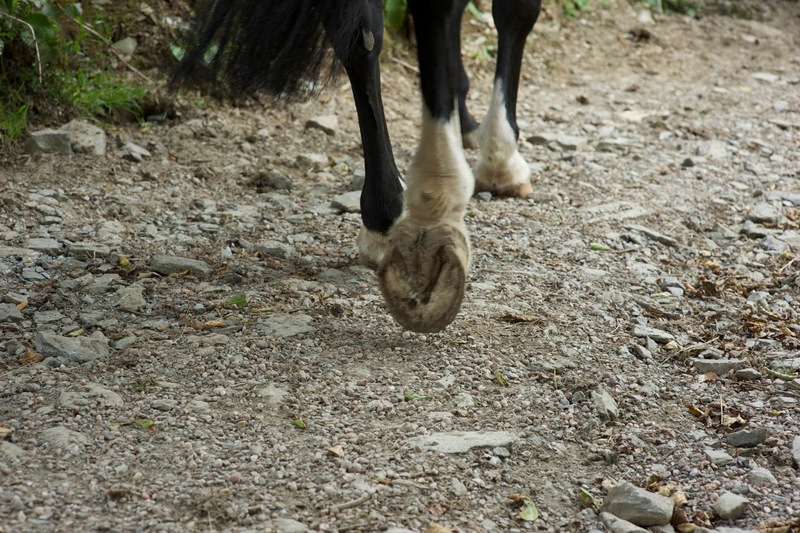 But of course if you believe that footiness is the result of a horse being unshod rather than of poor diet then there is another solution, one which does not involve improving the horse's overall health but allows you to use them as if you had - yes, of course, a set of shoes was the obvious answer(!). Now if you really have no better way - if your management options are limited or you have a horse with additional problems, perhaps a metabolic illness - then shoes may be a sensible solution. However if you simply want short cuts and aren't interested in proper nutrition and biomechanics I would suggest an engine is a more ethical option than a horse. No posts so far this week because of an exciting plan hatched by Annette, Lucy and I at this year's rehab reunion; we are going to ride the Ridgeway in the Spring - obviously this means it will be the Rockley Rehabs' Reunion Ridgeway Ride, or 5R for short. "At this year's RRR, Nic, Lucy and I got chatting about a Rockley Rehab long distance ride. Nic and I have both fancied riding the Ridgeway and an alliterative ride seems like a great way to fulfil the ambition ;). Lucy's dream of doing the South Downs may then follow a few months later! The rideable part of the Ridgeway goes from Streatley in Berkshire to the Avebury stone circle in Wiltshire, via some stunning historical sites such as the White Horse and Wayland Smithy long barrow at Uffington, Barbury Castle and numerous other prehistoric forts plus miles of racehorse gallops. The route is 43 miles long and includes grassy tracks, some short bits of road and some stonier sections (based on the parts that I know). We were thinking of setting out from Streatley so we can finish by riding into Avebury, as pilgrims have done for thousands of years. It will be a good paced ride (not least because walking for too long results in sore bums!) and we'll do it over three days / two nights, which should be very manageable for a fairly fit horse. One option we are looking at is to ride to Wantage on day 1, 16 miles, as my horses are there so I should be able to source a field / stables fairly easily plus there is a nice youth hostel (the Court Hill centre) on the Ridgeway. Then we'd head to somewhere near Ogbourne St George / Marlborough on day two - if anyone knows this area or has contacts please let us know - then a shorter ride into Avebury on day three by lunchtime. 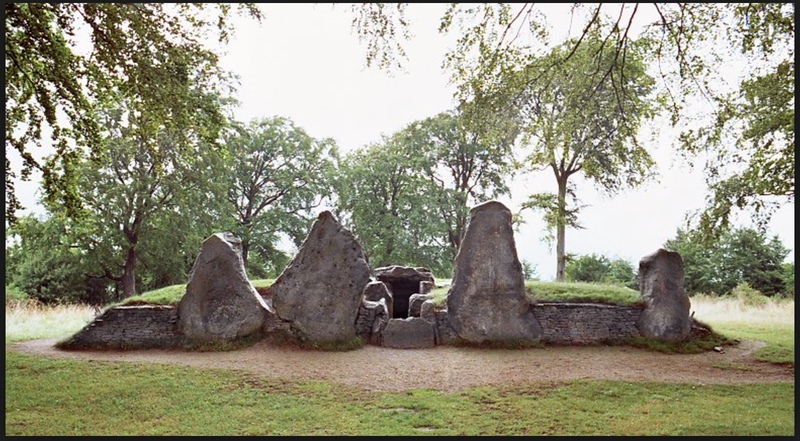 I quite fancy aiming for the first May bank holiday so we ride into Avebury on May Day and check out the Druids!" So now the dates are set. We will gather on Friday 28th April, set off the next morning and end with riding triumphantly (we hope!) into Avebury on May morning. We are planning on a fairly small group and horses and riders need to be fit but if any other rehab horses and owners are interested and have not yet given us their names just drop me an email. Another update, this time Lenny's. He has also been here just over 7 weeks and is due an update. Personally I am much happier with the palmar hoof in his LF today than when he arrived. The structure is better and he has more support but although his landing has improved on this foot he is not landing as well as on his RF. However the signs are encouraging - he is landing confidently heel first down hill and is coping with work on harder surfaces so he is definitely heading in the right direction. Lenny had fairly flat feet and although he is starting to build better concavity, as you can see from the increased collateral groove depth, he has a way to go before the whole hoof reflects this. His frog and digital cushion though are looking stronger and his heels are further back and providing better stability for the limb. The more level hairline and digital cushion gives a good indication of a palmar hoof that is no longer collapsing but there is obviously a way still to go. 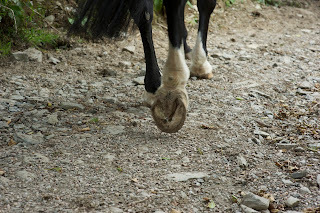 This photo gives a good indication of how much hoof he has already grown. Unlike some horses there is not a dramatic change in the angle of the dorsal wall but if you compare the nail holes the growth rate is still clear. On this foot he is now able to land confidently heel first, with a stronger frog and palmar hoof, but as you can see his medio-lateral balance is changing as well. Still a fairly crazy looking foot even though it has already become a lot stronger. You can clearly see the change in hoof balance from this angle and it looks as if once fully grown in the hoof capsule will be providing better medial support.